What can we say about Led Zeppelin’s “Stairway to Heaven” that hasn’t already been said? It’s an enormously influential song from Page & Plant, one that has inspired young guitarists everywhere to step up their game with acoustic and electric guitar playing. The Internet has opened so many different ways to look at “Stairway to Heaven”. You can hear how its creator was inspired to write the song, layering elements of music and rhythm sequentially. You can listen to an early rere versions of Stairway To Heaven and hear how the band is still working out the song. You can even listen to the entire song backwards, with entirely new lyrics! Teaching our students how to play this rock classic is one of the fun things that we do at Scottsdale Music Academy. And that’s our blog post for today. Watch our founder John Davis show you how to play the first lead guitar lick in the solo to “Stairway to Heaven”, which comes in in the original at the 5:56 mark in the song. John shows how to start the lead guitar part with the opening note of G string 7th fret. You will bend that note up a full step up, and follow it up with your other fingers on the high E string, mixing the notes with a variety of pull-offs and hammer-ons. 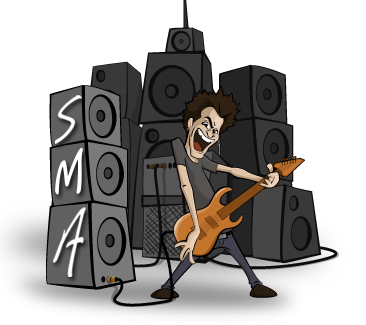 As John notes in the clip, this section is for more advanced guitarists. Once you get the pattern and the notes right, then it’s up to you to increase the speed of playing the notes to emulate the sound on the song. Beginner guitarists might want to start with the acoustic guitar part that starts off Stairway to heaven, which starts with a fingerpick on an Am chord. 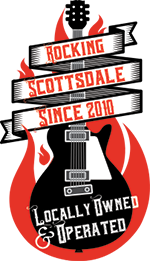 If you’re looking to get better on electric guitar, Scottsdale Musical Academy is the place for you. We have talented guitar instructors who work with beginner to advanced students in helping them reach their guitar-playing goals. They will work with you at your own pace and speed, and help you master guitar chords, licks and leads for country, rock, blues or jazz. Learn more at our Scottsdale Music Academy website.